All staff members and students have had great fun today! 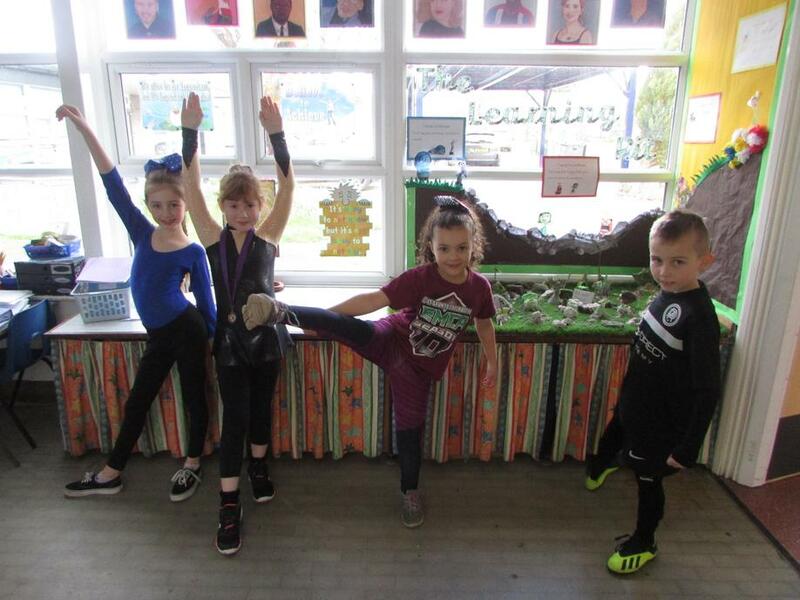 Not only have we been keeping fit but raising money for a fantastic cause-the key stage two canopy. We have raised a huge £1593.55 Which will contribute to the cost of the canopy . Furthermore, we have donated all of the non-uniform money to the Comic Relief charity which totals £252.69. 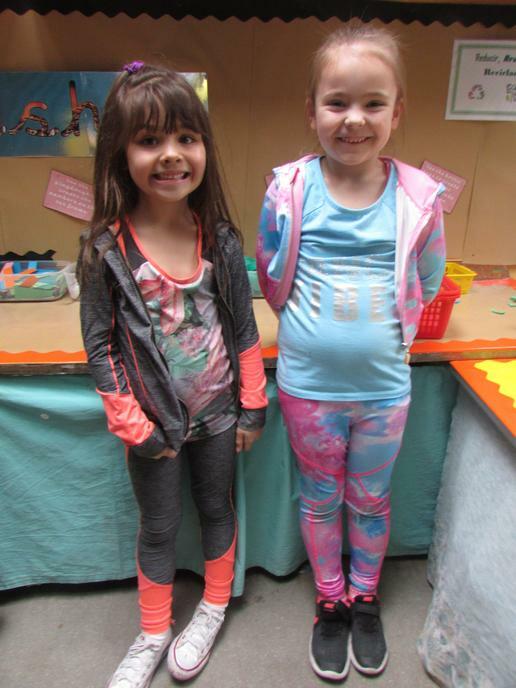 We would therefore like to say a huge thank you for all the support you have given us in sponsoring the children to get moving! It has been a pleasure to see such a variety of sports represented across school. Take a look at some of us wearing our uniforms that represent the clubs we belong to in the pictures below. 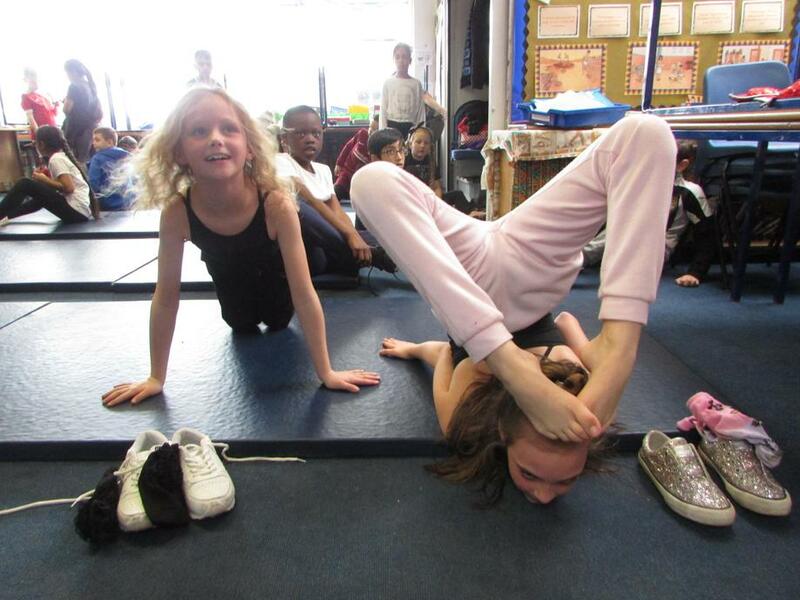 We would like to share with you some of the activities we have involved with during the afternoon. 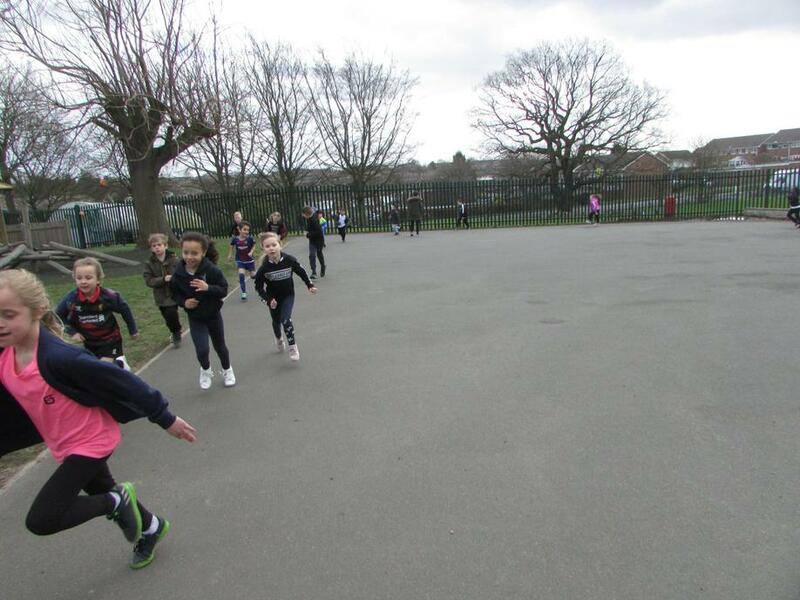 All classes ran laps around the playground and then completed a session with Mr Jones completing an obstacle course. 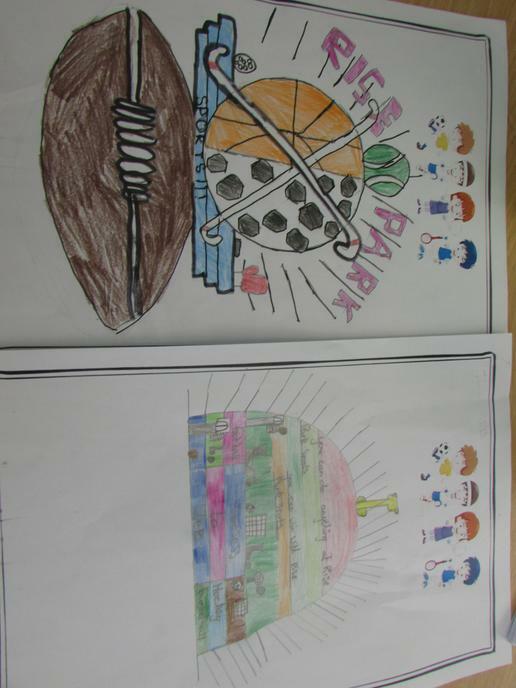 There has also been a huge selection of possible logos for our PE Cupboard- take a sneak peek at how colourful they are! 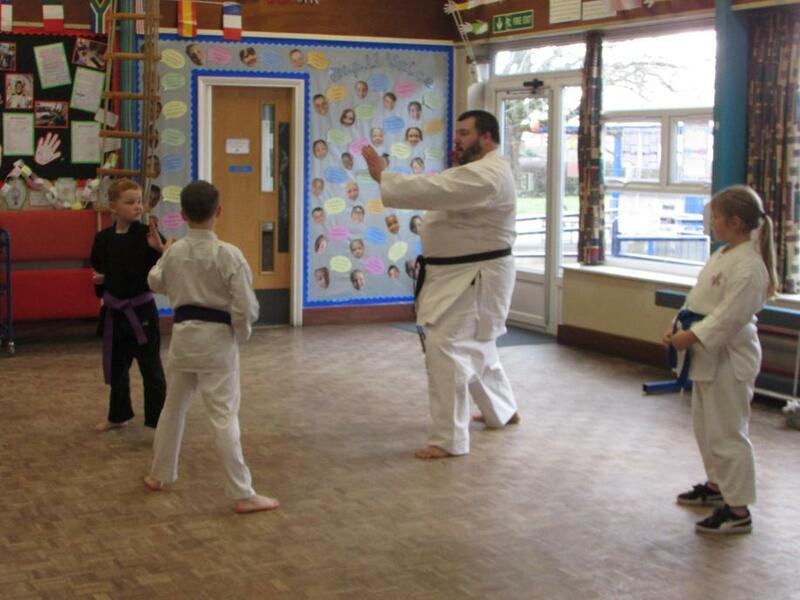 Year 1 have been learning some typical yoga moves whilst our year 2 children have been learning some martial arts defence moves with our school Governor Mr Brothwell. 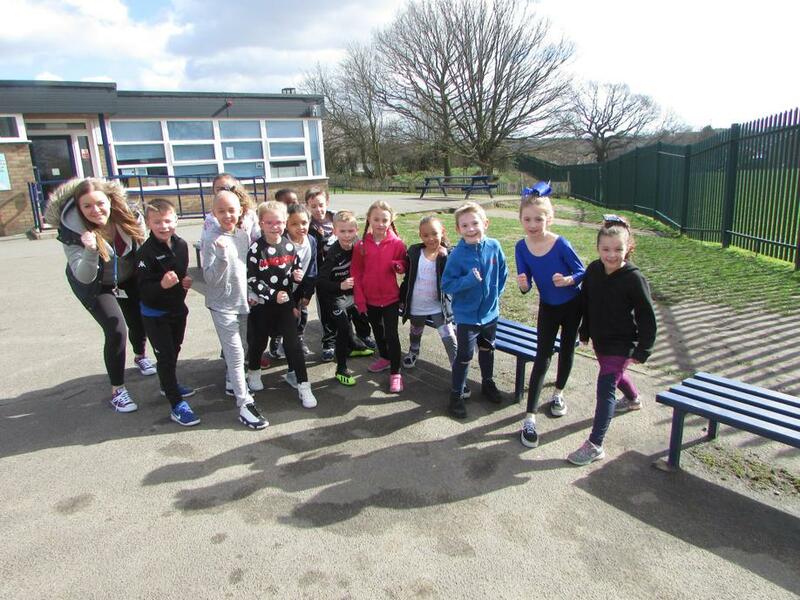 The children in year 3 are exhausted from their dancing Go Noodle marathon and Year 4 have been exploring some Spanish Salsa moves whilst running 391 laps in total of the playground. Year 5 have also been getting their dance moves on and testing their fitness levels on Go Noodle. Finally, year 6 have been designing their own games.